How to Match Your Lipsticks and Watches…Have you ever wondered how runway models and Instagram stars always look so amazing? Even if they are lazing about in their jogging bottoms, or have just worked out, and are STILL somehow still looking fabulous in their frizzy hair? Even though they are posting pictures all over social media of their Pajama days, or their wild nature adventures, how is it that these amazing women still somehow look like they are ready to walk straight onto the runway of a Dolce and Gabbana show, and give you a five-point-presentation on the theory of relativity? Well, there is a simple secret that converts an outfit to make a fashionable lady into a fashion queen… Combining cosmetics and accessories. 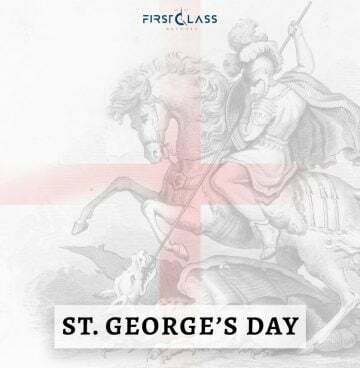 I know this sounds like an unlikely combination, yet it is so beautifully artistic that it takes a simple outfit to a sophisticated one in a tick. 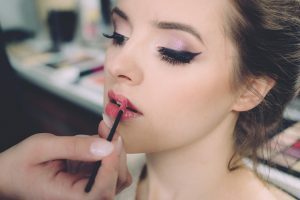 Instagram influencers and models always look fierce and ready to go because they know a few key combinations of cosmetics and accessories and a fierce attitude will make whatever situation you are in ready to be on the front cover of Vogue. Think about it, have you ever had that watch on that just is so gorgeous it screams irreplaceable, yet when you put it on with your outfit, no matter how bold and loud, the watch seems to disappear into the background. So, here is a guide on how to combine your lipstick and your watch, so you look runway-ready every day. The combination of cosmetics and accessories is an up and coming must-have look that really adds that extra sparkle to your wardrobe. As much as it would be nice if we all had unlimited funds and/or resources to buy endless accessories, that would suit every single shade of our lipsticks. For most of us this is not realistic. However, you never have to compromise your style. 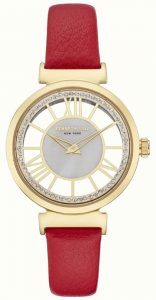 It is better to invest in something that you can use every day, the perfect shade of lipstick, one that matches your complexion; skin tone and personal style, paired with a gorgeous fashionable watch. With both watches and lipstick available in different textures, your daily combination of lipstick and accessories could be sheer, matte, or satin and always flawless. 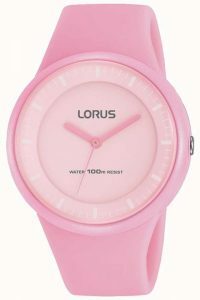 How to Match Your Lipsticks and Watches-Pink Shades. This gorgeous Lours Ladies Pink silicone strap pale pink dial is a stunning light shade of pink which has a gorgeous satin finish, pair this stunning watch with the beautiful, Liptensity Lipstick in the shade of Ginger Rose by the renowned Mac for a perfect combination. Pink lipsticks are the perfect sweet and simple shade that is a really nice addition to your wardrobe. 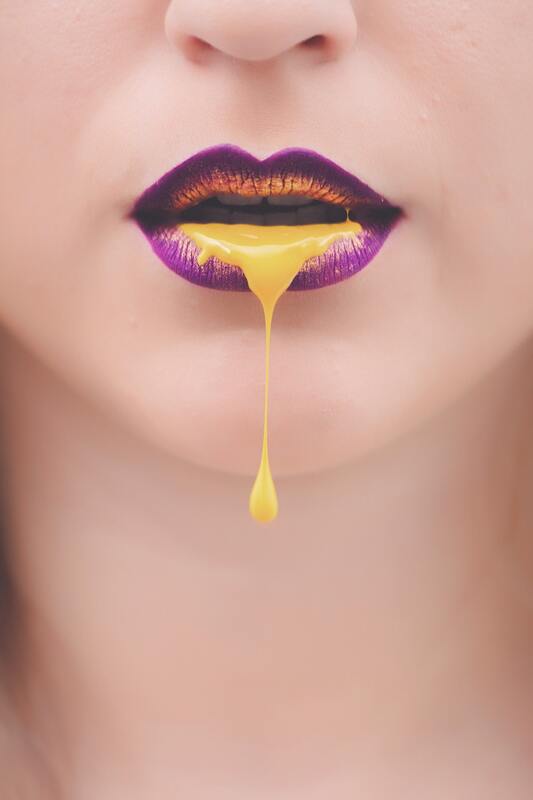 Why not try out this shade today? How to Match Your Lipsticks and Watches-Red Shades. Rimmel London brings us this classic city inspired moisture to renew sheer&shine 500 shade Red-y, set, go. Will have you ready, set and gorgeous! 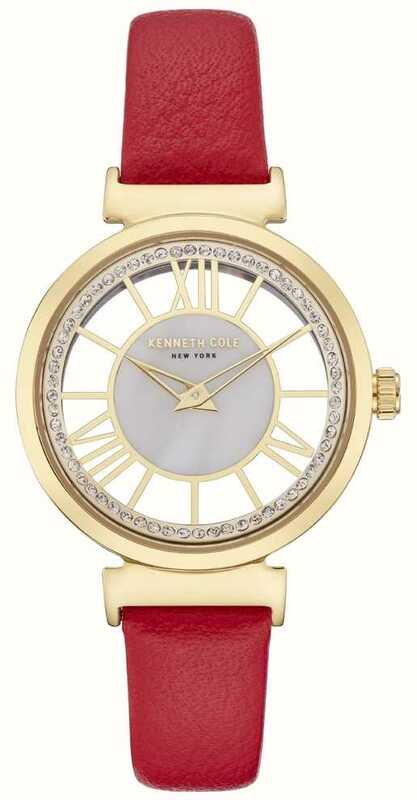 This beautiful lipstick will look inspired by Keneth Cole, women’s Gold, Silver dial, red leather strap watch. 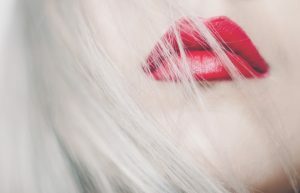 Red is a fierce and bold shade that really makes your look pop. A beautiful shade of Red should be in everyone’s wardrobe, its perfect for every season and never goes out of style. I am absolutely in love with this stunning Channel lipstick its beautiful matte finish in the Rouge allure ink is the perfect combination of sass and class. 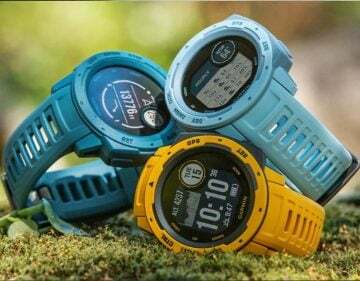 This will pair beautifully with a stunning matte watch, such as the design from the renowned and much-admired designer Juicy Couture. 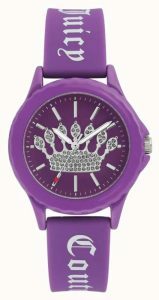 The Juicy Couture Women’s Purple Silicone Strap Watch Purple Crown Dial. 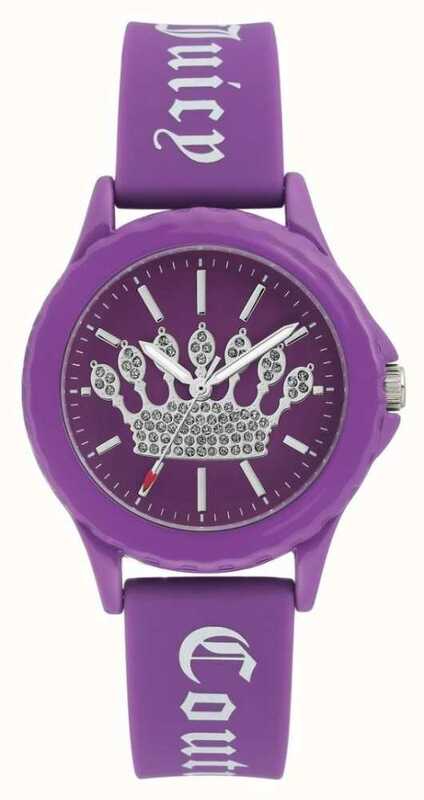 Purple is the perfect shade for those of you beautiful ladies who love to look equally fierce and fashionable. 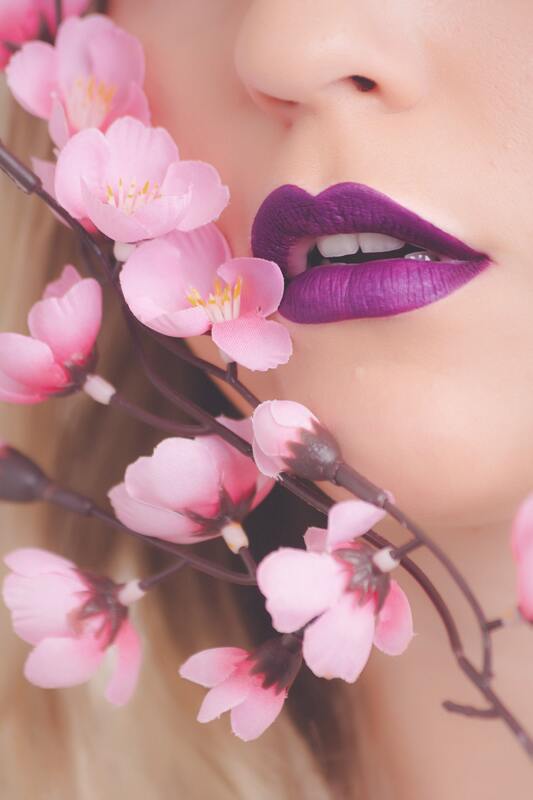 And if you haven’t tried it yet, then don’t be scared, purple is a shade that gets rid of tired looking lips for that fresh and revitalised finish. So why not invest in some stunning combinations of lipsticks and watches so that you have that perfect look all year round. The flawless finish of these combinations will have you looking like an fashion queen, no matter your shade.